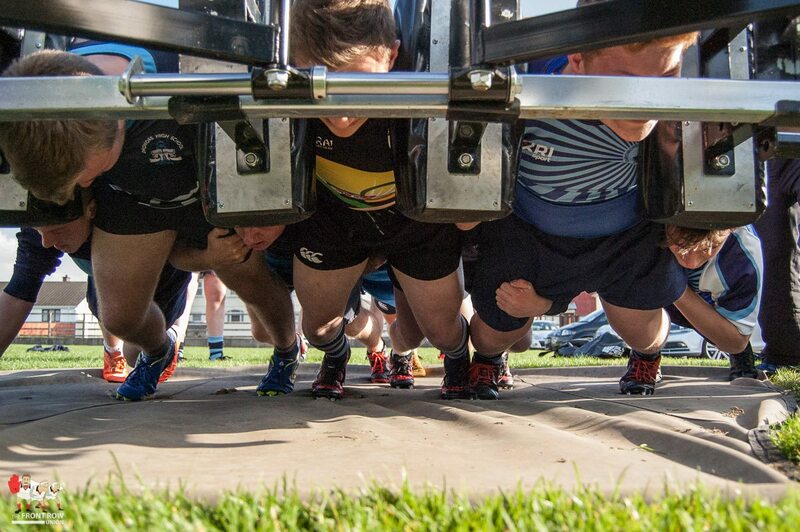 You are at:Home»Features»Feature: We have seen the future of Scrum Coaching and it is here. 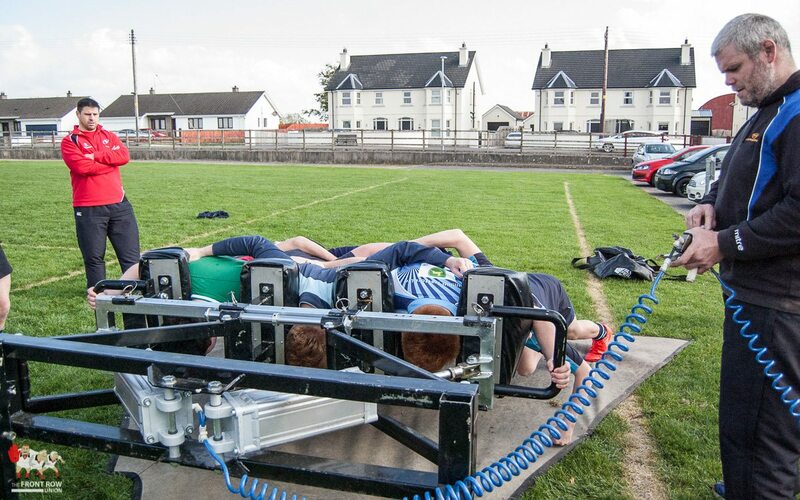 Last week I had the pleasure of attend a couple of scrum coaching sessions held by, THE SCRUM DOCTOR, Peter Bracken which featured the Live Scrum, scrum machine. 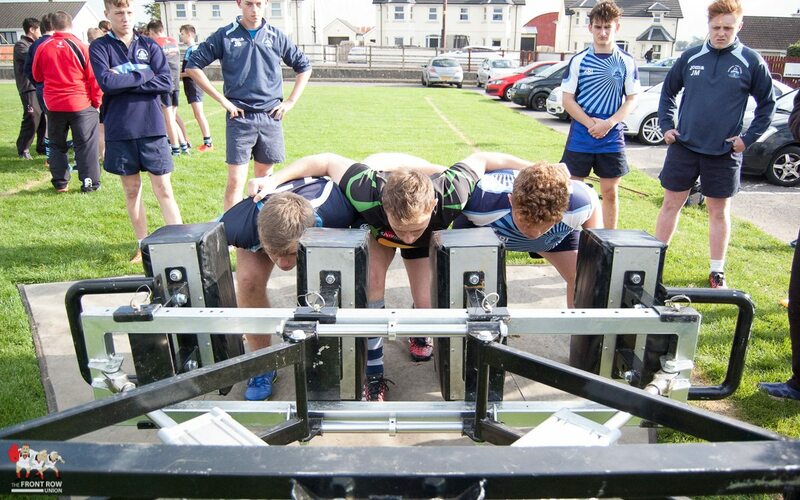 To say I was impressed with the capabilities of the Live Scrum machine and the quality of Peter’s coaching would be an understatement, with both lifting the standard and the possibilities for effective and targeted scrum coaching to a new level. 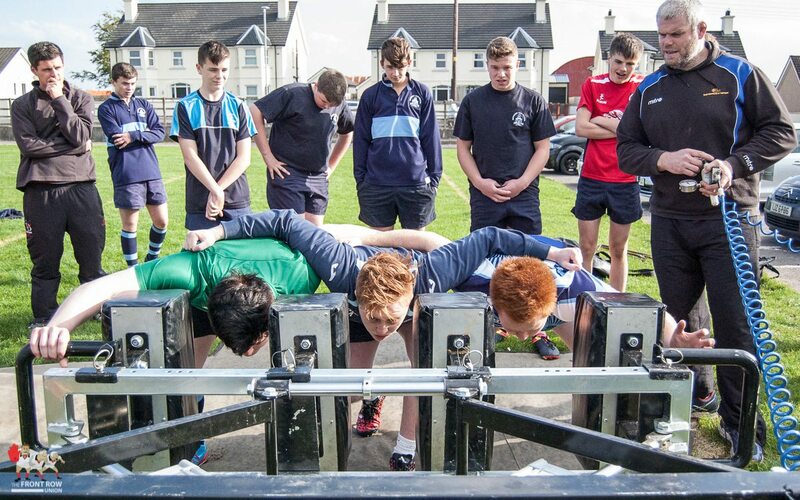 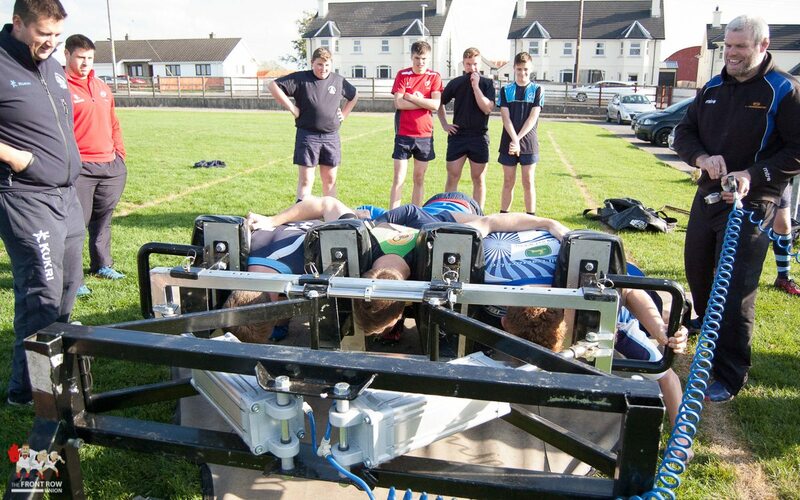 Our first session was with the 1st XV and Medallion XV at Dromore High and it really opened my eyes to the capabilities of the machine. 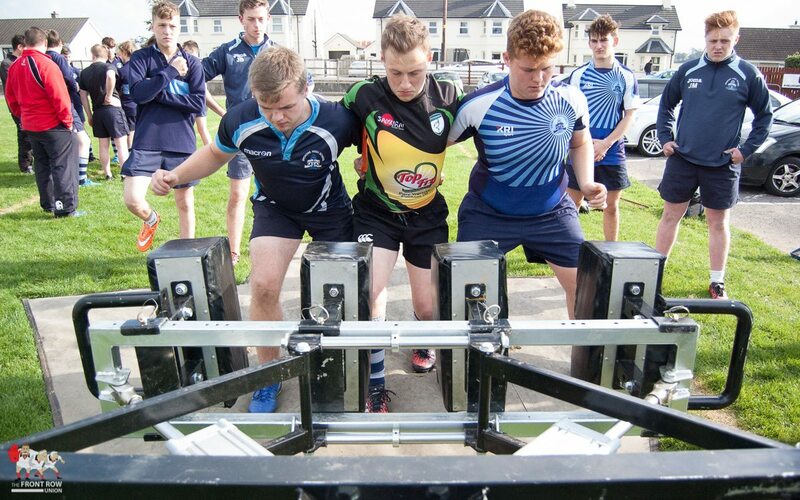 After a brief session on posture and the power stance with Peter both sets of forwards were ready to hit the machine with Dromore coach Gareth Bronte keen to try out different combinations in the front and second rows. 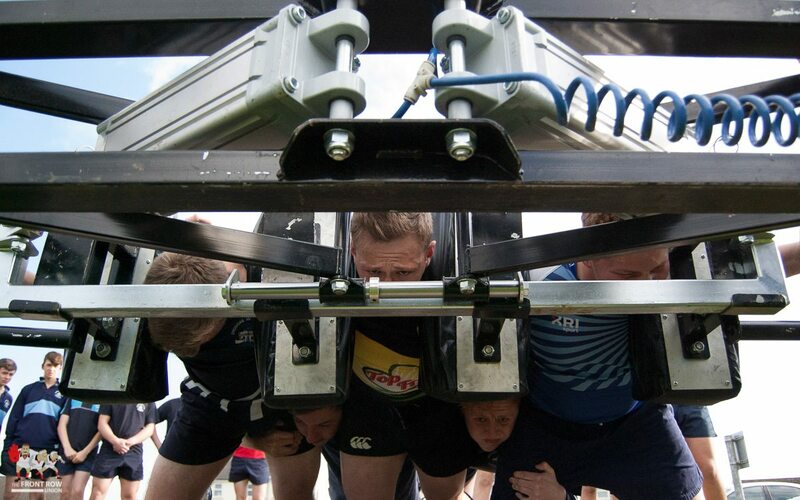 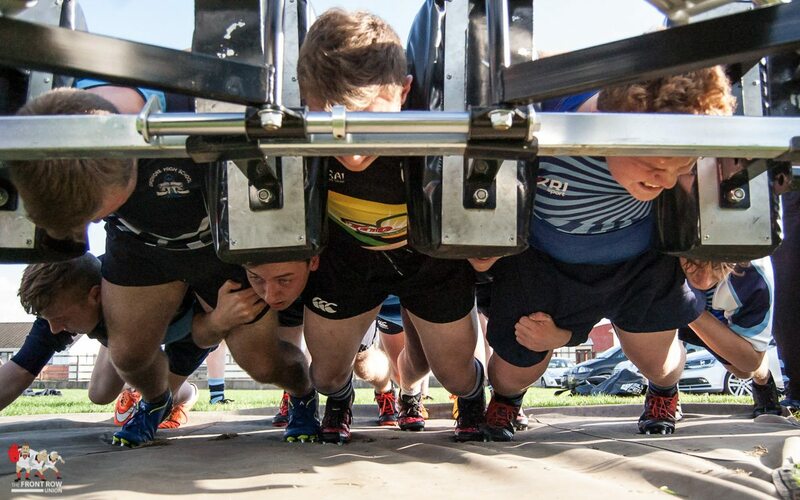 The benefit of the Live Scrum scrum machine is that it actively scrums against you and after a couple of scrums the coaches soon got their answers as to who was applying the most pressure and they were able to make live changes to the binding and positioning of their players and see the immediate effect. 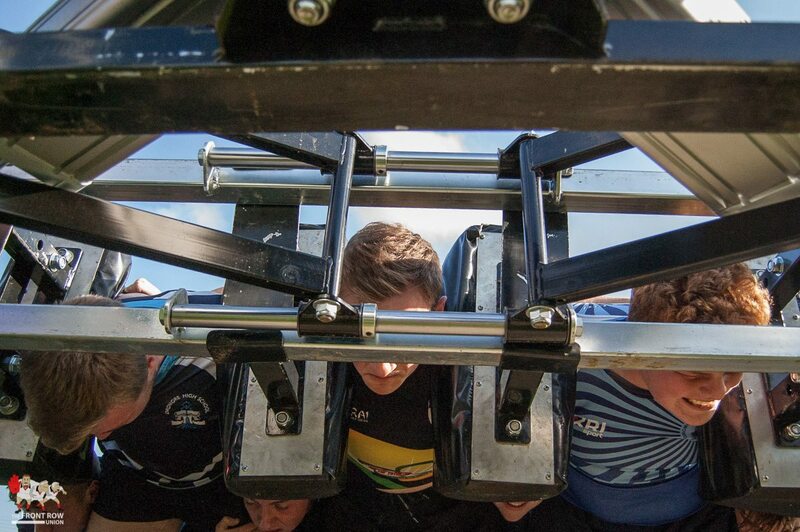 Within half a dozen scrums the players were coaching themselves with the Medallion players able to advise the Firsts as to where they were going wrong 🙂 as it was so easy to see the effect on the pneumatically driven machine. 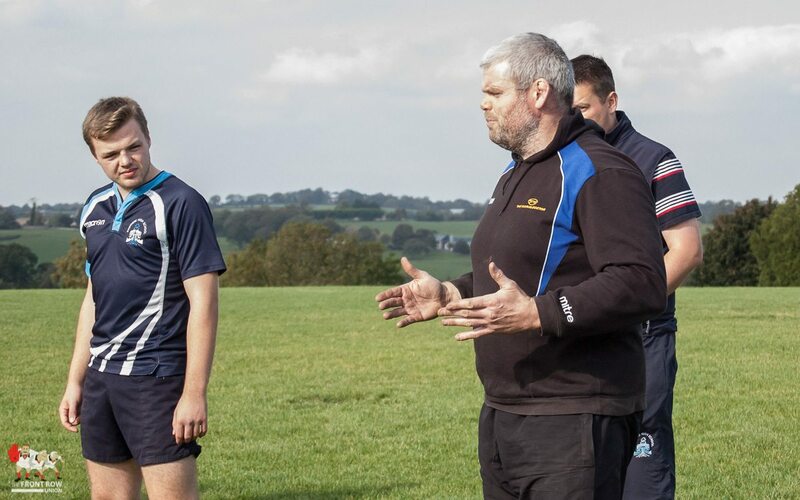 Speaking after the session Coach Bronte was obviously impressed by what he’s seen. 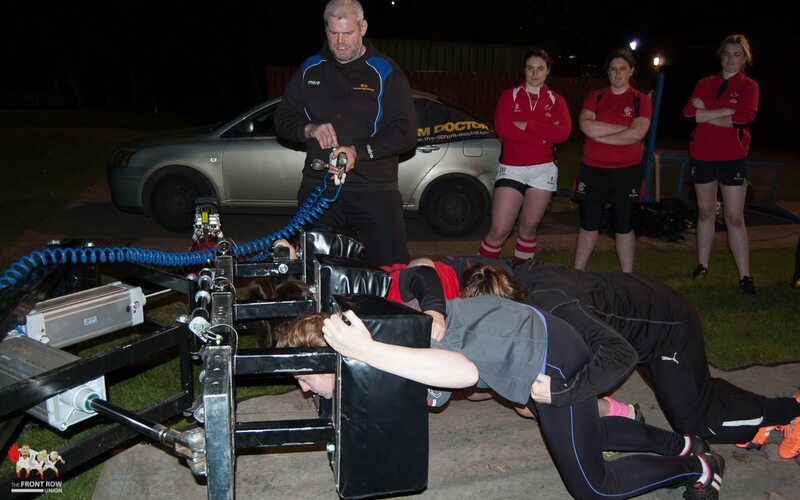 “It was a great session and a great piece of kit. 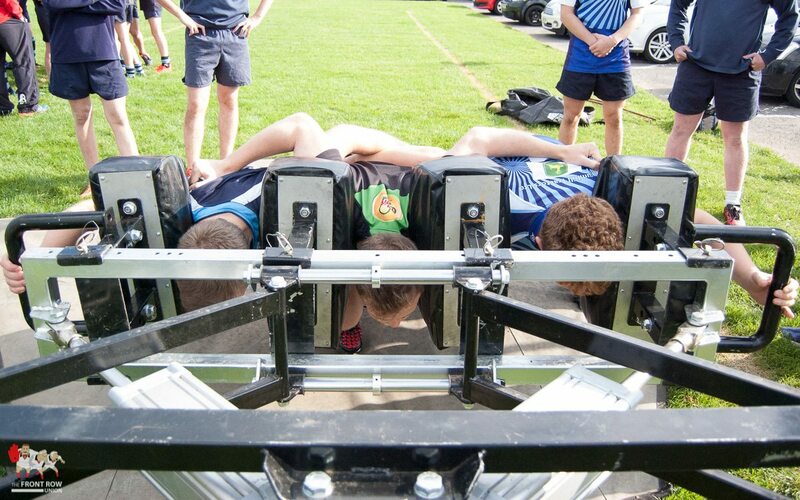 We’ve been looking at moving various players into the front five and the machine lets you do this safely and you can instantly see their effect and make live changes. 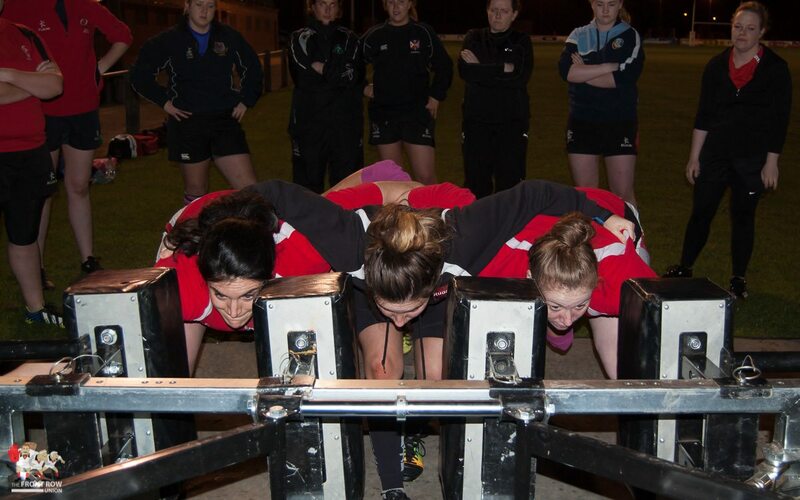 We then moved on to our second session with the Ulster Women’s pack at Cooke RFC with Cooke coach Grace Davitt overseeing proceedings alongside THE SCRUM DOCTOR. 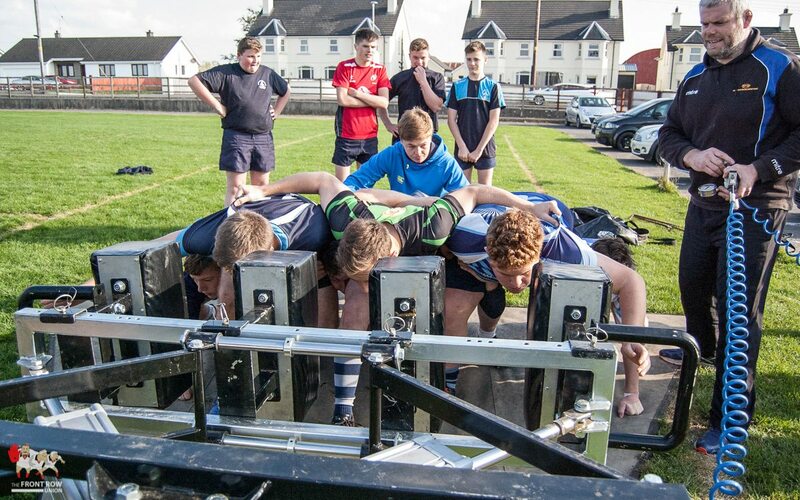 The players have previously had a few session with Peter on a standard scrum machine but the Live Scrum moved it all on to another level. 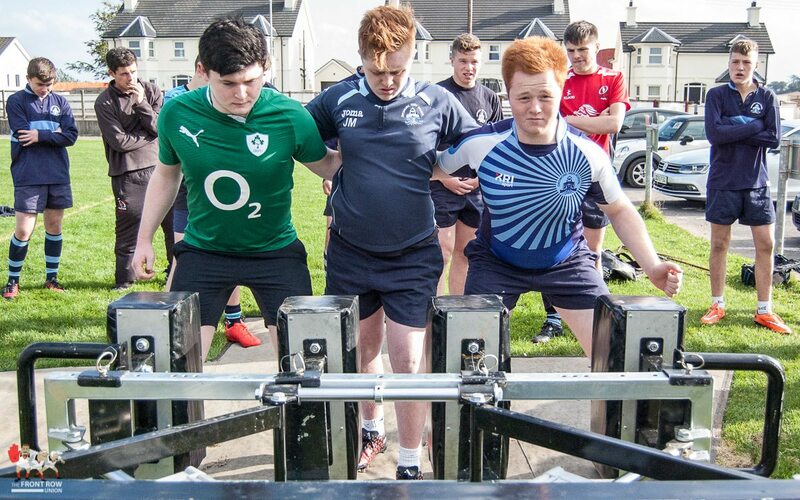 Once again, by the time they had had a few hits, the players were able to analyse the results themselves and make changes to their positioning and binding and as before Coach Davitt was able to swap players in and out and instantly see the effect. 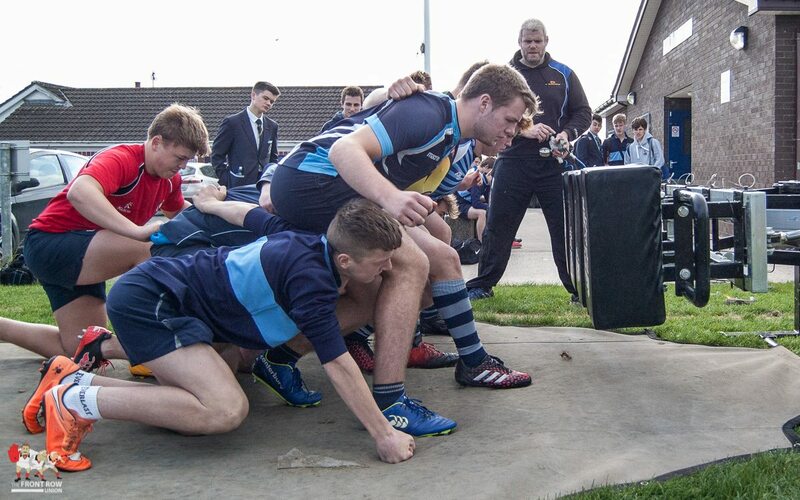 However, this was more of a physical work out with a more experienced pack with the players able to work, in great detail, on their scrumaging height, their sustained push and their holding techniques and all variations in between. 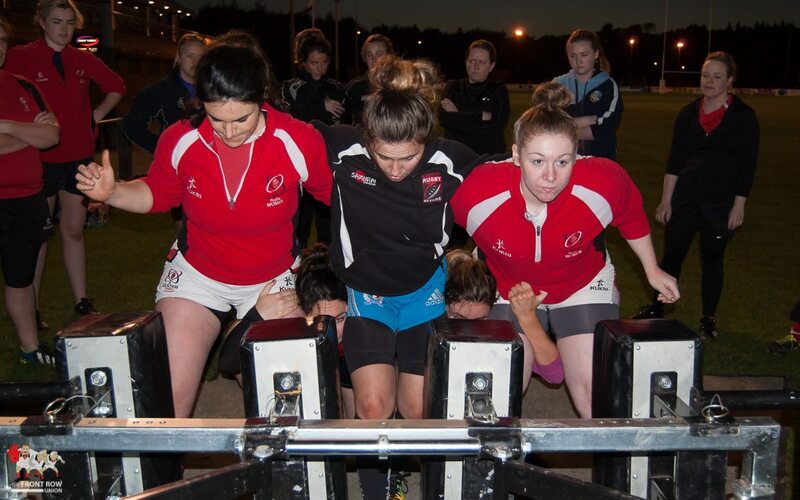 Both sessions were made possible by the continued sponsorship and support of the Schools and Women’s game by the Front Row Union. 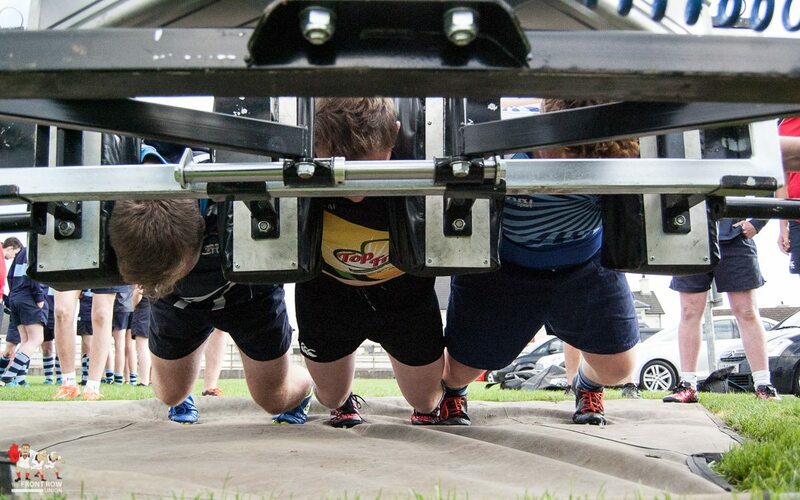 If you want to organise a coaching session with THE SCRUM DOCTOR and the Live Scrum click on the ad below. 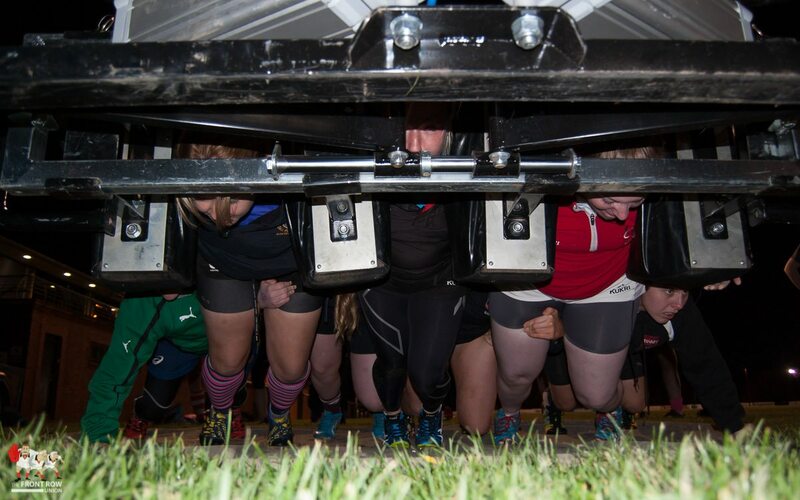 Pictures from the sessions below.